Experience the beauty and history of Appalachian dance at Folkmoot. 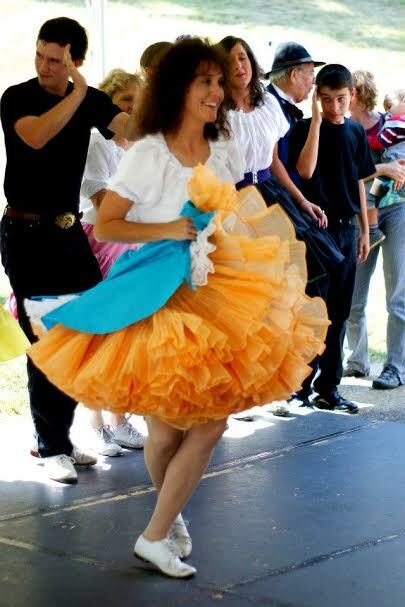 Appalachian Dance Class 101 features instruction in square dance formations and basic flat-foot and clogging styles unique to the Haywood County mountains. Kim Ross, Director of the J. Creek Cloggers, is the instructor. Classes are from 6 p.m. to 7 p.m. in the multi-purpose room of the Folkmoot Community Center, 112 Virginia Avenue in Waynesville. Each 4-week class costs $40.00. Soft shoes with slick bottoms are preferred for easy movement, but are not mandatory. Register by telephone at 828-452-2997 or fill out this form, requesting registration for the classes. Kim Ross was born and raised in Scott County Virginia in the tiny community of Snowflake, a few miles from the home of A.P. and Mother Maybelle Carter and the Carter Family. Kim grew up in a family of dancers and learned at a young age traditional flat-foot dancing. The famous Carter Fold in Hiltons, Virginia was – and still is – Kim’s favorite “hoedown place” to perfect her various steps in buck, flatfoot, clogging, and free-style while meeting up with her dancing friends in her hometown. 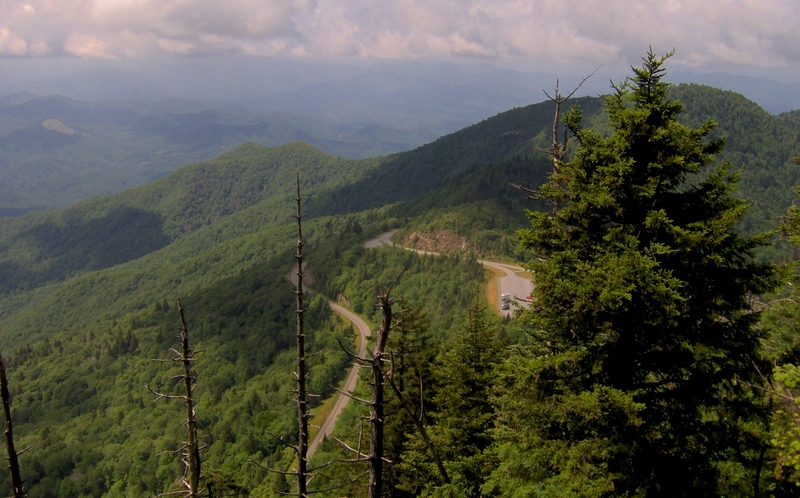 She moved to Haywood County North Carolina in 1992 and raised two boys, Zeb and Levi Ross, who today, make up The Ross Brothers & Terry Woody Bluegrass/Old Time Band. Kim’s boys inherited her love for dance and music and when Kim formed her own clogging team, the J. Creek Cloggers, her boys naturally became a part of the group. The J. Creek Cloggers are busy fulfilling their obligations at various events during the year, as well as being the regular attraction from May to October at the well-known Stompin’ Grounds in Maggie Valley, North Carolina. J. Creek Cloggers have performed in Tennessee, Virginia, South Carolina, North Carolina and are honored to adhere to the ‘old style’ square dancing, keeping it alive for the next generation. They were recently honored with the 2015 Bill Nichols Heritage Traditional Dance Award. Thanks to Best Western Smoky Mountain Inn and the Community Foundation of Western North Carolina for supporting Folkmoot’s year-round programming initiatives. The Sam Love Queen Auditorium at Folkmoot!